Everybody is curious as to why any defected member and escapee from MKO happen to be an agent of Iranian regime whenever the organization ever publicizes the news of some defection itself. The announcement does not appear just after the escape or defection but months and even years later and after the group fails to come to terms with the defected to stop him/her talking out. The stigma, MKO believes, on the one hand will possibly neutralize the disclosures and on the other, hand will boost a propaganda battle to talk big of its intelligence potentiality in detecting the infiltrated agents. Thus, it may appear to many as a never-ending battle between MKO and Iran’s Ministry of Intelligence and security; and of course the more secretive and sophisticated the ministry is depicted the more capable its rival can be proclaimed. But there are other reasons for MKO to enter a demonizing campaign against the regime’s security apparatus. Majority of the ranking members who leave MKO have been aware of hypocrisy and corruption within the group and majority are victims of cultic abuses themselves. However, as they have maintained an element of independence and some connection with their old values, they consider it a responsibility to become a volunteer to disclose facts long concealed from the public under a variety of pseudo social and democratic activities. Naturally, unable to provide justifiable responses to what MKO claims allegations against it, the group directs countless hateful attacks and attempts at character assassination of the defected members. The smear and character assassination campaign against dissidents further ensures that the exposé continues with full force. That is why MKO was among the firsts to publicize the report by the Library of Congress report on Iran’s Ministry of Intelligence and Security and to translate its parts, particularly those concerning MKO and ex-members, into other languages to be circulated in a variety of affiliated web-sites and blogs. Although the report itself blends fact and fiction, a look at the given references leaves no doubt that either MKO has been tasked with the responsibility to prepare the report or has acted as a close consultant in preparation. Typically, whenever a disclosure is made by some defected member, MKO call it a slander against the group and a work of individuals who officially work with the regime. To look at it through the eyes of MKO and its leaders, anybody who is against the group is an agent of Iranian regime, that is to say all Iranian people but the group’s members and sympathizers. They include even the families who insist to see their relatives and children held against their will by the group. 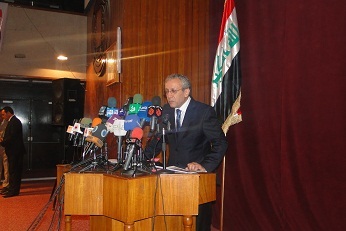 To have a real understanding of the intra-organizational behaviors and principles within MKO in relation with the defection of members, the split and runaway of a member, and the ranking members in particular, is considered an unforgivable sin since the escapes have always faced the group with serious challenges. That is mainly because they make the closed group vulnerable to outsiders’ scrutiny. As a rule, the members are organized into teams and units each headed and controlled by a loyal ranking who is directly responsible for the deeds of his subordinates and their defections and escapes since they impose considerable political costs on the organization due to the fact that it would be hard to figure how much information is disclosed by the defected and to whom. Even the rank-and-files are under tight control if they turn to be willing to leave. To tell the truth, neither the insiders nor the ex-members as the outsiders are immune from the threatening, anti-human, cultic practices of MKO. It is a global threat and problem to be dealt with. 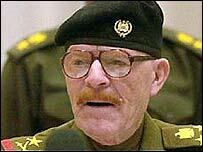 Just after the downfall of Saddam, the Iraqi dictator, tens of mass graves were discovered around Iraq, where thousands of Iraqis had been buried after apparent mass executions. The discovered graves accounted for a plainly shocking fact that how Saddam got rid of his opponents with no sense of remorse or mercy. And now after the evacuation of Camp Ashraf, a bastion for his mercenary forces, additional dimensions of crimes committed by his mercenaries have been unearthed. 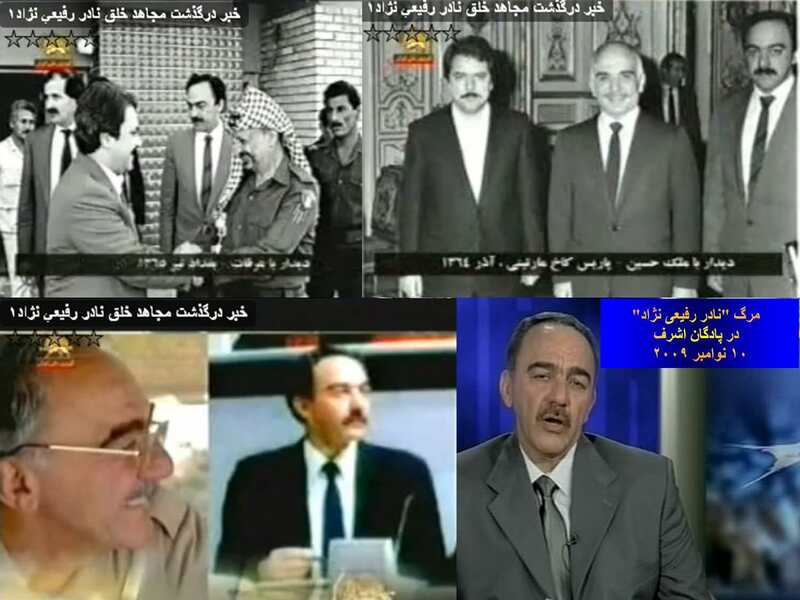 The latest reports endorse that the terrorist Mojahedin Khalq Organization (MKO/MEK/PMOI/NCR), known as witting accomplices in Saddam’s crimes, have been talented students of the late criminal master. As an Iraqi official says, several mass graves have been unearthed in Camp Ashraf. 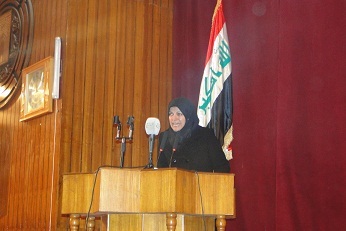 Reportedly stressed by Sadeq al-Husseini, the deputy chairman of Diyala’s provincial council, the Iraqi Ministry of Human Rights is in charge of determining the identities of the bodies and to whom they belong; Kurds, Arab local residents or else. Regardless of the bodies’ identities, they have been human beings either slaughtered by Saddam, MKO’s forces or in joint operations. In any case, the responsibility is on MKO as it has long been dwelling on the bones of these bodies concealed from the outside and the parents and relatives who never heard any news of them. 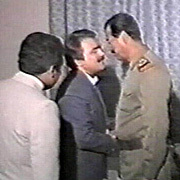 The huge controversial feature of the MKO was its decision in 1983 to ally itself with the former Iraqi regime of Saddam. Arriving at an agreement, Massoud Rajavi moved, along with his loyal ring-leaders and majority of his forces, to Baghdad in 1986. 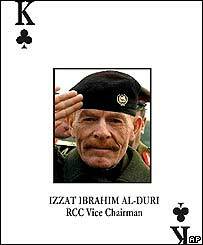 Forming the National Liberation Army there with Saddam’s aid, he dispatched his forces to fight alongside Iraqi forces against Iranian troops that led to further diminishing of MKO’s credibility inside Iran. Moreover, a number of Iraqi Shi’ites and Kurdish organizations have alleged that MKO forces played a role in the suppression of the so-called Safar Intifada of March 1991 against the former Iraqi regime. 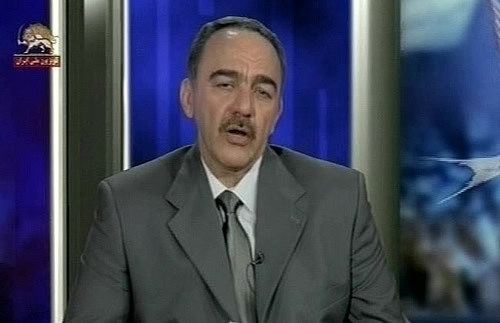 MKO’s collaboration with Saddam against Iraqi people exerted a dramatic impact on the group’s internal relation that led to serious inter-organizational problems as well as external challenges. Several dozen members announced their defection and deserted Camp Ashraf protesting among other things the group’s complicity in the suppression of Kurdish and Shi’ite uprisings in the aftermath of the Kuwait war. The arrival of these former members in Europe and their organized attempts at spotlighting the alleged abuses and deviations of the organization, led MKO to intensify its character assassination campaigns against its former members and to label them as the agents working for Iranian regime. A slew of detentions inside MKO camps and torture at the hands of senior members were also the harsh reaction against the protests. But soon the outside world came to be notified of what was going on within the group when a credible and high-profile human-rights organization for the first time revealed and verified the testimony of the detached members. The 28-page HRW report, “No Exit: Human Rights Abuses Inside the MKO Camps”, details how dissident members of the group were tortured, beaten and held in solitary confinement for years at military camps in Iraq after they criticized the group’s policies. With the fall of Rajavi’s bastion, the world will see more of the democracy he has promised to establish. These mass graves are just a miniature sample of a future democracy in a greater world. Many facts have already come out and this is not the last one which follows.